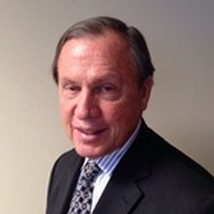 Mr. McAdams retired from Ex-Im Bank as its COO and Board Member and later was the first CEO of ExWorks Capital. Previously he served as Ex-Im Bank's Senior VP of the Export Finance Group, where he was responsible for all of the bank's short-, medium- and long-term loan guarantee and insurance programs. Before assuming his current post, McAdams served as senior vice president of Credit and Risk Management, where he oversaw risk management including credit underwriting, credit review and compliance, country risk and economic analysis, and engineering and environmental analysis. McAdams joined Ex-Im Bank from the Bank of America, where he held a number of executive management positions in Washington, D.C., and Chicago, including responsibilities for trade finance, corporate banking in the Midwest and New England markets, and oversight of the Asia-Pacific region. In those capacities, he had P&L responsibility and managed diverse banking functions, to include developing business strategies, profitably growing several businesses, and developing competent and effective executives. His last position at Bank of America was president of Private Bank for the mid-Atlantic region. John also serves on the Board of Directors of Private Export Funding Corporation (PEFCO), an organization created to assist in the financing of U.S. exports by supplementing the financing available from commercial banks and other lenders. He is also a member of the Board of Directors for The Coalition for Employment through Exports (CEE). CEE is a not-for-profit association that seeks to improve federal programs for export and investment finance and insurance, and export promotion/advocacy so as to strengthen the ability of companies to compete successfully in the highly competitive export environment.